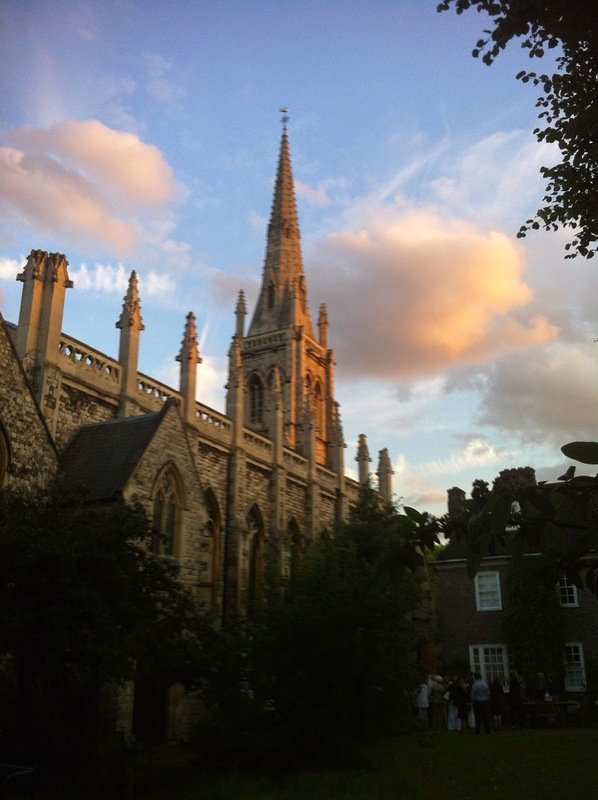 To St Mark's Church, grand Victorian ecclesiastical wallop in grand Hamilton Terrace, St John's Wood, for a concert of lollipops, given by the Berkeley Ensemble in aid of the Jane Packer Foundation for research into brain tumours. More or less knew every piece. Unusual were an arrangement of a Goldberg Variation for violin, viola and cello, and the original version of Barber's Adagio, which is the second movement of a String Quartet. One day I'll listen to the whole thing. Paul Cott, introducing it, said that the Adagio was for the Americans what Nimrod is for us. Yes, makes sense. That was possibly my favourite performance of the evening, though the most beautiful piece of music was undoubtedly the Larghetto from Mozart's Clarinet Quintet, which must be one of the most astonishing things man has ever made. To this admittedly fairly unscrupulous ear, the playing was exquisite, and, as importantly, obviously as much a pleasure to the players as to their listeners.